Ever since it was first launched, Microsoft Corporation has rolled out several editions of Visio, the diagram drawing software. This application lets you create very complex diagrams for all types of projects. Visio comes with several templates for its users. It’s useful and an easy to use the program. This software is not free. It carries a price tag around $400 or $500. If you can’t buy this software, then you should try the best Visio alternatives we’ve shared in this article. The diagram drawing software we have covered here provide a beautiful UI. They pack plenty of features. Open Office is a popular open source office suite program that allows you to create complex documents, spreadsheets, presentations on the computer. It has several functions which make it a great alternative to premium programs from Microsoft, Adobe, and many other application development companies. Draw and Impress applications in Open Office allow users to create complex vectors, graphs, and flow charts with ease. They offer over 300 free templates for the users. Open Office lets you embed images of various formats in your charts. It allows you to format the text in the charts. It provides several types of shapes which you can use to create professional diagrams for free. 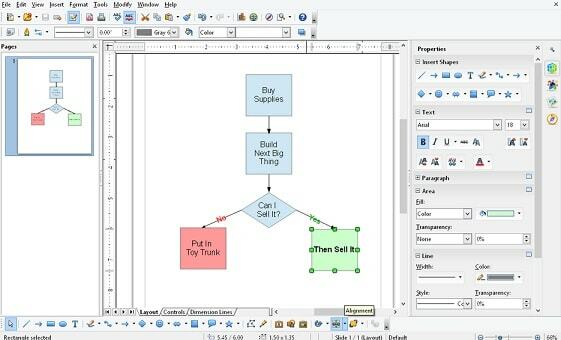 Graph Editor is one of the best tools to create free UML diagrams. It has BPMN, entity relationship, network, and people symbols. YED enables users to label shapes with HTML and icons. It allows you to import data from an XML or Excel file and visualize it. The YED Graph Editor has an easy to use interface. It lets you export your diagrams in several formats. It supports tooltips and has a smart search tool. The Visio alternative comes with a print preview utility and it allows users to create or edit more than 1 diagrams simultaneously. The software has a function to arrange elements of a large diagram in a systematic manner. It runs on Windows, Mac, and Linux computers. To use Yed, make sure you have installed the latest edition of Java Runtime Environment on your computer. Dia is free diagram software that has over 900 symbols and objects. It comes integrated with a CASE utility. This tool can create scripts from raw diagrams. Dia enables you to create complex data models. With this software, users can work with vectors graphics. If the user knows Python programming, he can write new scripts for this software. This tool is one of the best free flowchart makers. Along with charts and diagrams, Libre Office lets you create picture galleries. This tool is useful for creating attractive diagram presentations. Libre Office supports several types of shapes, symbols, and fonts. It has a better interface than Open Office. Project pencil features IOS and Android GUI elements. It comes with several types of shapes, objects, and symbols. It has a robust export utility. You can use this feature to generate PDF, SVG, PNG or ODT files directly from the diagrams. Pencil Project software allows you to interlink pages. This software is directly integrated with the OpenClipart project. Hence, you don’t have to visit any site to search for free clip art images. 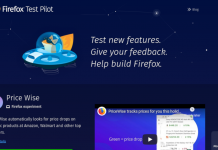 Pencil Project is available as Firefox extension as well. It is one of the best free Visio alternatives. 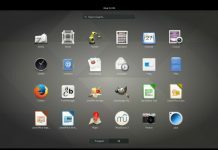 Download Pencil Project for Windows, Mac, and Linux operating systems. Draw.io lets you create charts, network, wire-frame, UML, BPMN and Venn diagrams online. Draw.io can save your work to Dropbox, Google drive. Draw IO is one of the most online tools for drawing diagrams. It enables you to import diagram templates from the URL. The Draw.io tool supports various shapes. It groups shape in different categories so that you don’t have to spend time in searching for them. Draw.io allows you to export your chart as a PDF, JPG, PNG, SVG, HTML file. Conclusion: If you’re working on a software project, make sure you use one of the above visual alternatives for creating UML, flowchart, ER diagrams. The applications we’ve mentioned above are intuitive. They require a small amount of storage memory and have many shapes through which you powerful and impressive diagrams. If you’re already using one of these tools, please share your experiences with us. Previous articleHow to remove shortcut virus from USB pen drive?